Stony Brook University has confirmed cyanobacteria blooms, more commonly known as blue–green algae, in Maratooka Lake in Mattituck. Photo by: Henriette Hansen, via Free Images. 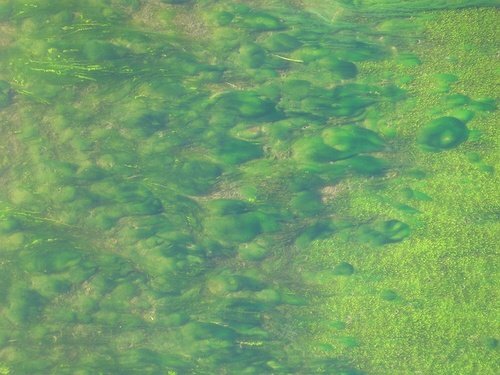 Mattituck, NY - June 11, 2015 - Stony Brook University has confirmed cyanobacteria blooms, more commonly known as blue–green algae, in Maratooka Lake in Mattituck. Due to these findings, health officials ask residents not to use, swim or wade in these waters and to keep their pets and children away from the area. To report a suspected blue-green algae bloom at a body of water that contains a Suffolk County-permitted bathing beach, contact the Suffolk County Department of Health Services’ Office of Ecology at 852-5760. To report a suspected blue-green algae bloom that is in a body of water that does not contain a Suffolk County permitted bathing beach, contact the Division of Water at New York State Department of Environmental Conservation: (518) 402-8179. For more information about blue-green algae, visit Suffolk County’s website. Subject: LongIsland.com - Your Name sent you Article details of "Cyanobacteria Bloom Found in Maratooka Lake in Mattituck"